I suspect I’m not a true Mississippi girl and must have been adopted from some Yankee mother. I HATE greens including collards, mustard greens, kale and anything remotely related. (Cabbage, Brussels sprouts- ick). I tried to like Kale – really I did, but they tasted just like the leaves on my native azalea. Yesterday was miserable because I read that collard greens in particular are good cancer fighters. 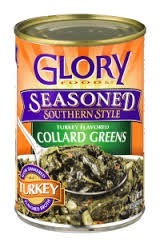 So I dutifully rushed to Kroger and bought several cans of Glory collards which are supposed to be better than ordinary canned varieties. I never tasted anything so horrid in my entire life. But I choked them down and hoped they would stay there.. It is a known fact that about 20 percent of the world population has faulty taste buds which makes these vegetables especially bitter. I’ve got it bad. The leaves are thick and bitter but are unique because they’re rich in sulfur-containing compounds called glucosinolates, which support detoxification, and indole-3-carbinol that greatly reduces the risk of breast, colon and lung cancer. Why can’t they just enhance chocolate and fries with those good things? Collard greens are a great source of vitamin K and vitamin A. They’re also rich in soluble fiber and have strong antioxidant properties. By adding collard greens to your diet, you reduce disease-causing inflammation, cure digestive conditions, detox your body and boost cardiovascular health. I’m going to try them again today with a clothes pin on my nose. Does anyone have a recipe for “enhanced” collard greens? Like maybe a collard green lasagna? I thought they were like turnip greens. I can’t imagine anything like that canned. Yuck. Can you get then fresh? Emily if you get the frozen bag of collards and season with bacon and a little sugar and cook them on low for about an hour. They taste a lot better. I’ve tried them all and this is the only way I halfway like them. 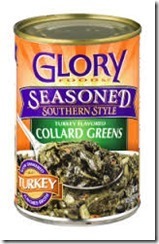 No collard greens for me–any way, any time! Emily: For heaven’s sake— you should buy FRESH COLLARDS – cut off the thick part of the stalk, and cook them slowly using some FATBACK with a little sugar. (You can buy fatback at the Sunflower Store). My daughter-in- law (age 45) and very picky about what she eats — LOVES collard greens… and cooks them as above. Actually, I prefer MUSTARD GREENS as they’re a lot sweeter — but cook them the same way. (Don’t see how you can STAND canned collards or greens). 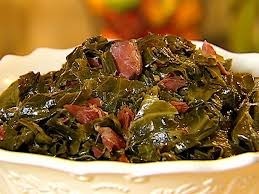 (If you don’t like Collards or greens, I don’t see how you were EVER born and raised in West Point.). P.S. I don’t like Kale either — but am trying to like it (a little). I agree with the others. Canned greens are the pits. I hated spinach until I had the fresh stuff. Now I grow it in my spring garden. Fresh is the only way to go! I can eat the canned Glory Turnip Greens, but not anything else. Someone gave me some greens one time and told me to wash them in the washing machine! Well, I did, Liked to have never gotten all that mess out of my machine. Oh, well, live and learn. Emily, Norma prepares the most DELICIOUS canned turnip greens, so says my sister! What is your next adventure? Norma gave me her secret – she uses Marjorie (Something) canned greens from Fred’s. I’m headed over there right how. And I can possible do the fresh kind because they smell worse than they taste to me. The bit of sugar also makes them go down easier Norma tells me. She served Marjorie’s at her supper club and several people asked for the recipe!